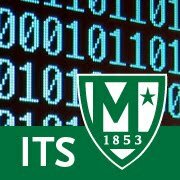 The intranet site, which incorporates training content and feeds from Google as well as content chosen for its relevancy to users as Manhattan College, was created using Google Sites. Google Sites (part of the Google Apps for Education repertoire) is an online tool that allows you to create a simple or extensive web site. Sites brings together all of the other Google tools - letting you easily embed Google Docs, Calendar, Videos, and more. will keep users abreast of continuing enhancements to the apps.